inequalities, urban-rural divide, citizen security and safety. behind,” the concept note writes. Manila, Nay Pyi Taw, Phnom Penh, Phuket, Siem Reap, Singapore, Vientiane, and Yangon. Cities and attend ASCN meetings. the common goal of smart and sustainable urban development. ASEAN citizens, using technology as an enabler. across cultures,” the document writes. 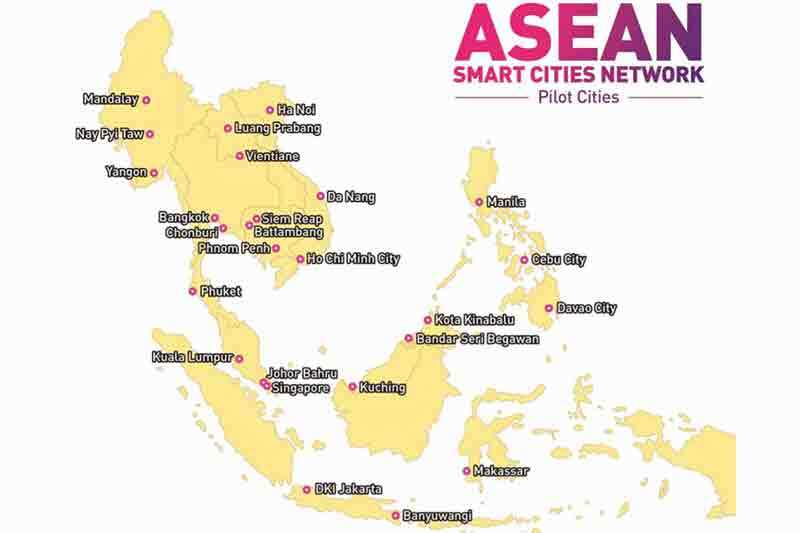 ASEAN and its external partners at the cities level. some of the external partners. specific to each city’s local and cultural context. ASEAN’s external partners on board. Chair to help promote continuity of efforts across several ASEAN Chairmanships. Post-Ministerial Conferences in August 2018.
issues across the three pillars”. ASCN’s progress and key achievements. drafting of the ASCN’s annual reports.